Jonika’s roots lie deep within Zeeland’s clay-rich soil. The company was set up by Joost Nieuwenhuijse in the middle of the last century. 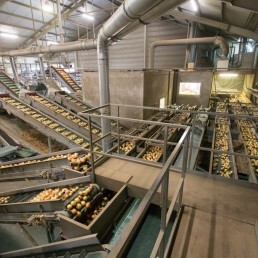 Based in the town of Oostdijk, Jonika was envisaged as a grading and packing station for onion growers in the Dutch coastal province of Zeeland. Soon, the onions were being bought by customers all over the Netherlands and far beyond. And the company went from strength to strength. As Jonika grew, it began sourcing onions from beyond its native Zeeland. Today, the onions come from quality growers throughout the Netherlands. And the family firm has become an innovative modern company and a leading player on the global onion market. Our success stems from our passion for onions. 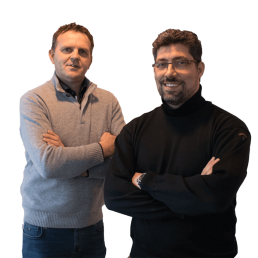 A passion handed down from father to son, so that today the company is run by a third generation of the Nieuwenhuijse family. 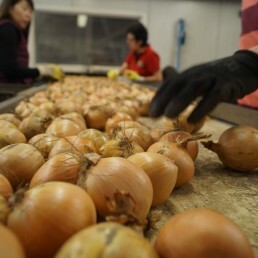 Over the course of Jonika’s history, the focus has gradually shifted from the grading, storage and packaging of onions to the cultivation process itself. Because it is the way an onion is grown that determines its quality. Expert cultivation produces a top-class onion, an onion of the very best quality. A Jonika onion. Jonika onions are easily recognised even when they are still in the field. Grown with loving care and only in the most fertile soils, their sturdy green stalks mark them out from the start. Today’s Jonika onion is the successful product of a vigorous and innovative selection policy, in which the environment has been considered every step of the way. Our growers work with the very best seed and make extremely sparing use of artificial fertilizers, pesticides and other crop protectors. It is an approach that yields a truly top-class onion. Jonika attaches great value to input from growers. Much of our success is down to maintaining close ties with our growers and listening to their wishes and opinions. Onions need to be harvested with great care and precision in order to avoid damage. Our growers combine modern machinery with traditional knowledge and skill. Generations of experience go in to choosing exactly the right moment, so that the onions are harvested in perfect condition, ensuring the very highest quality. Equally important is the process of careful selection and transportation to climate-controlled storage sheds. At Jonika, we have elevated the conservation of onions to a true art. Conservation and storage are specialist procedures, which we perform with the utmost care using modern drying systems. So that our onions retain their taste, shape, colour, skin quality and firmness. In our warehouse we keep the onions in crates in order to dry them, a phase which is essential for the quality of the onion. The crates guarantee constant quality, in which temperature, ventilation and humidity are the most important conditions. 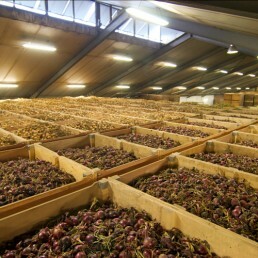 Using innovative technology, we create the ideal climate for keeping the onions in our modern warehouse. 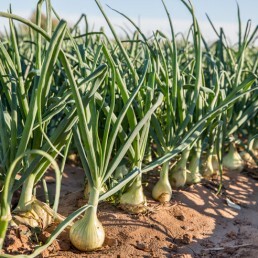 Jonika onions have the best possible protection throughout the time they spend in the ground. That protection continues when they are harvested and move through the various processing phases, during which they are graded, checked and packed. Our grading line was designed and built specifically to prevent damage to the onions. So, for example, drop heights along the entire line are kept to the minimum. Various checks are performed during production to ensure that every onion we sell has earned the coveted Jonika label. When we select our onions, we select them on quality. Selection is a manual proces, performed by expert personnel. Resulting in a product that meets all the customer’s wishes and needs. With packaging you can go in all directions. From 250 gram packages, small packaging in bags, boxes of plastic crates and big bags to ‘loose on the car’. Always delivered quickly and with high delivery reliability. Whatever your requirements, we’ll be pleased to oblige. We can supply onions that match any size criteria and pack them however you wish, in whatever quantities you wish. Whether you want yellow onions, red onions, shallots or banana shallots. Simply tell us what you want, and we’ll take care of it. It’s acknowledged around the world that the soil and climate of the Netherlands are ideal for growing top-quality onions. The Jonika onion is known everywhere as the best product of the world’s foremost onion-growing country. Jonika exports onions to all six continents. The perfect growing conditions, our hyper-modern grading and packing station and an excellent logistical infrastructure give Jonika a great basis for bringing quality onions to customers all over the world. Our home town of Oostdijk has easy access to the ports of Rotterdam, Antwerp and Vlissingen.